this is my first post here, even though I've been a long time lurker. 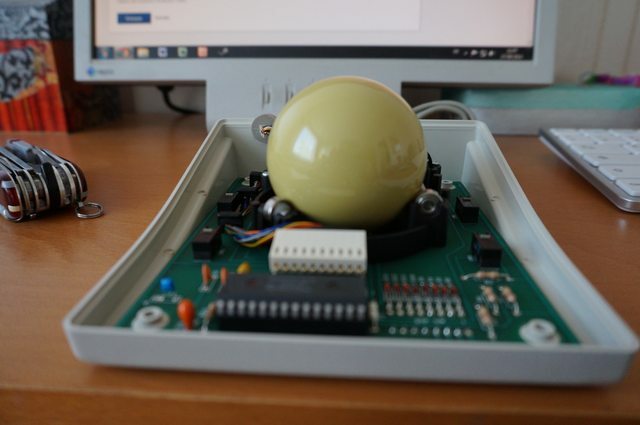 A few month ago, I bough a vintage PS/2 Trackball from the CH Products brand. I must say that I'm very impressed by the quality of this device. It well derserves its title of "Model M of the trackballs". After several tests using an Arduino Mega 2560 rev2 board, I bought a Teensy++ 2.0 as it supports the HID protocol. At the moment, it is connected it to the BUS Mouse cable header. The quadrature encoders are handled by interrupt, on both FALLING and RISING transitions. 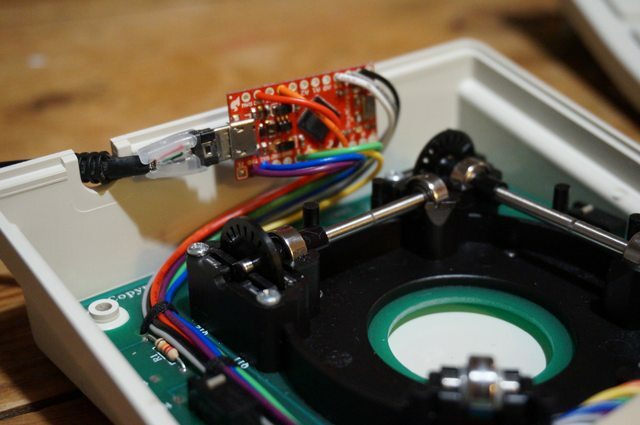 Buttons states are handled by the background loop and updated every 10 microseconds, along with relative coordinates updates if anything happend on the encoders side. 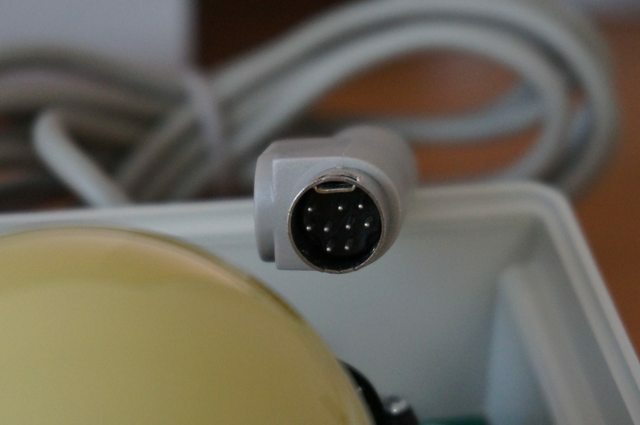 The basic idea would be to connect the Teensy to an internal USB header of the motherboard and run the required pins the a connector attached to a PCI bracket. 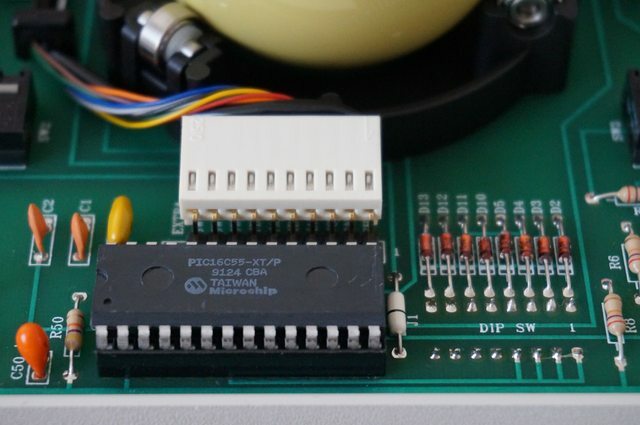 A PCB, with the Teensy socketed into it, could be used for a genuine retro look . Last edited by GuilleAcoustic on 16 May 2015, 10:33, edited 6 times in total. Nice first post! Welcome to land of Teensy mods. Muirium wrote: ↑ Nice first post! Welcome to land of Teensy mods. Thanks a lot. It's been a very instructive project, with a few details still running. It was also my first time with both the Arduino and the Teensy. I'd love to find an affordable IBM 5150 keyboard as it would be a very nice match to the trackball design. That is so cool, how does scrolling work on it ? Does it have a scroll wheel of some sort ? I have a slim blade but need a second trackball for work, but i don't think i could live without the slim blades rotate to scroll. Have you tried a slim blade ? How does this thing compare ? I was following this on bit tech, nice to see it's made it's way over here. I'm all for the PCI teensy card . andrewjoy wrote: ↑ That is so cool, how does scrolling work on it ? Does it have a scroll wheel of some sort ? It does not have scroll capabilities yet. I'm using the window "elevators" or PgUP/PgDown at the moment. 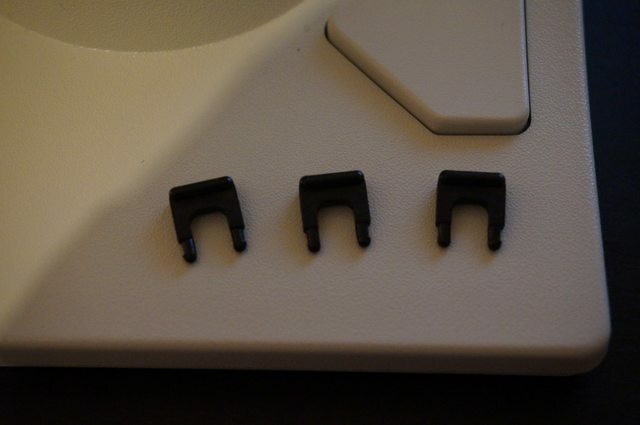 I'm thinking about using the "extra" pin on the PCB to use the top left button as a "toggle scroll" switch and use the ball to scroll.Or just mod a keyboard to have a scroll wheel on it, as I've never been a big fan of scroll wheels on mice. andrewjoy wrote: ↑ Have you tried a slim blade ? How does this thing compare ? I've been using a Logitech Cordless Optical Trackman for 2 years in the past and the CH's one is far superior despite being from the late 80's. The ball is hand operated and has a diameter of 53mm (pool size in fact). It provides is great feel and is very accurate. The use of thick stainless shafts and sealed bearings is so much better than the poor three-tiny-ball suspension you often see on trackballs. Last but not least, the Omron switches are far superior from everything I've encountered on a pointing device so far. It might lack features like scrool wheel/ring or laser tracking, but it's really a great trackball. Haven't tried the CST L-Trac, which could be a good opponent. Thanks mate, I've compiled my posts over BT to make a "nice" and better tought thread over here. 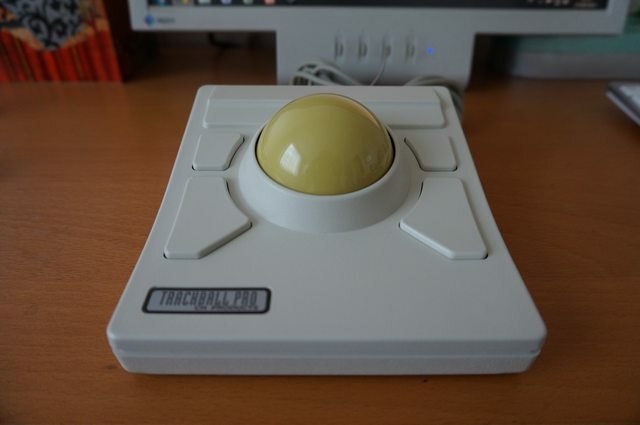 About the trackball for sale, nice coincidence indeed . I'm all for the PCI teensy too, just have to find enough time for this. That's some nice piece of work there. I've used both a modern DT225 and obviously the slimblade. The latter is *much* smoother, higher sensitivity (obviously) , somewhat more conveniently shaped, but feels cheap in comparison. Dealing with accumulated gunk is different as well, due to completely different bearings. davkol wrote: ↑ That's some nice piece of work there. Thanks you for your interest in my humble project. I'll post the code here once the tweakings are finished. Below is a cleaned version of the code. This is not the final revision as I'm moving toward writing it in pure C and compile it with gcc-avr. I'll keep this updated. The code can be shrunk further, but is fully usable as is. Running flawlessly since a week now. Feel free to ask question if you need some explainations, but the code is pretty simple and straight forward. Hey GuilleAcoustic, that is awesome the movement is really smooth great job! 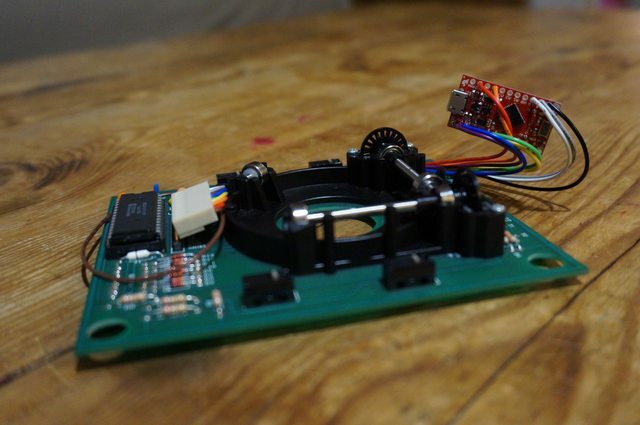 I am new to USB interfacing and have been trying to use an old ps2 trackball and add my own board inside to interface it with USB. Your project seems perfect for me to understand the battle. Have you managed to moving toward writing it in pure C as you wanted? If it is at all possible get take a look at it that would be awesome. It would help me a lot on my adaptation to my trackball. I wasn't confident on being able to make it run smoothly but after watching your video I am really motivated. Great job! Thank you so much for sharing this. Jonas wrote: ↑ Hey GuilleAcoustic, that is awesome the movement is really smooth great job! 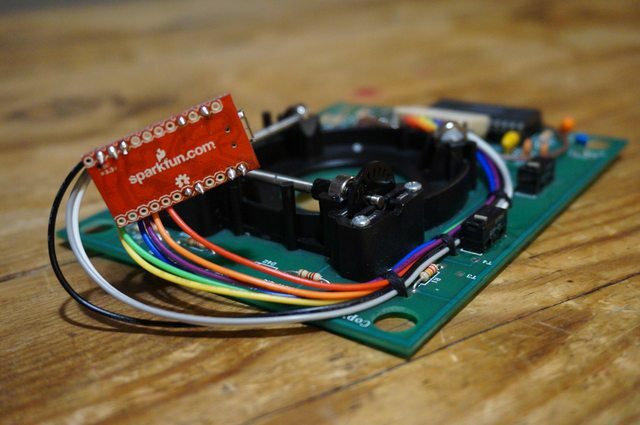 I am new to USB interfacing and have been trying to use an old ps2 trackball and add my own board inside to interface it with USB. Your project seems perfect for me to understand the battle. Thanks a lot for your interest in my humble project. 6- Cursor moved using the quadrature code. The idea is to attach an interrupt routine to each channel and when an interrupt occurs you compare the current "position" to the previous one. This will give you the way your encoding wheel turns. Jonas wrote: ↑ Have you managed to moving toward writing it in pure C as you wanted? If it is at all possible get take a look at it that would be awesome. It would help me a lot on my adaptation to my trackball. Sadly, I didn't work on the code lately. The teensy++ is too big to fit inside the trackball case and my local store doesn't stock teensy2.0 anymore. I just bought an Arduino Pro Micro and a 10 pins cable harness. I will continue with these ones. Jonas wrote: ↑ I wasn't confident on being able to make it run smoothly but after watching your video I am really motivated. Great job! Thank you so much for sharing this. The smoothness really surprised me too. The delay at the end of the loop as a huge effect on the smoothness though. Too small and the motion is really slow but smooth, too high and the motion is not smooth at all. Delay(10) looked like a good value from my experiment, but this might be affected by your serial connection speed and how quickly you process the data. I did try several algorithms to process the quadrature encoders, some are easier to read or understand than others, but nothing that a drawing can't explain. I'll put them here too. Disclaimer: No PCB has been harmed during the process. I just reused the "plastic jumper" fitting holes . Hmmm....I might drop you a message a bit later on about converting a CST trackball. edit - Nice job by the way, how is it to use? I'll use it with a Model F XT, so the light beige version is perfect. HzFaq wrote: ↑ Hmmm....I might drop you a message a bit later on about converting a CST trackball.? Please do, it'd be a pleasure if I can help you. HzFaq wrote: ↑ edit - Nice job by the way, how is it to use? It's great to use, less stressing than a mouse. The buttons have a nice tactile feel and clicky sound. The huge ball is a pleasure to navigate, and it has an inertia thanks to the steel shaft and bearings. Going back to a mouse is weird now. Only drawback is the lack of scroll wheel, but I just use the keyboard keys (arrows, PgUp / PgDown) or just middle-click to activate the scroll mode in sofwares like Word, Chrome, etc. I thought you just scrolled with the ball when you pressed a certain button? Redmaus wrote: ↑ I thought you just scrolled with the ball when you pressed a certain button? This is what the middle-click does with any mouse on several softwares, like Chrome for example. I wanted to keep the trackball as vanilla as possible, so it acts as the original one but on USB. Is the DPI on the CH trackball really that bad? Redmaus wrote: ↑ Is the DPI on the CH trackball really that bad? No, it is nice. It has 400 CPR resolution and it works well, even on my dual 19" at work (2560x1024). 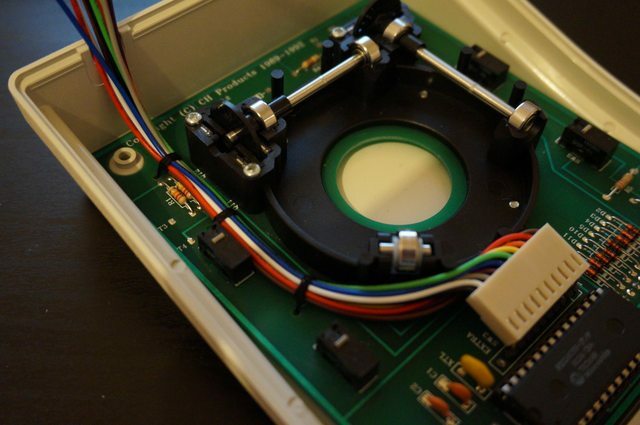 The idea behind the high DPI DIY trackball is not related to the CH product, just a project for fun. 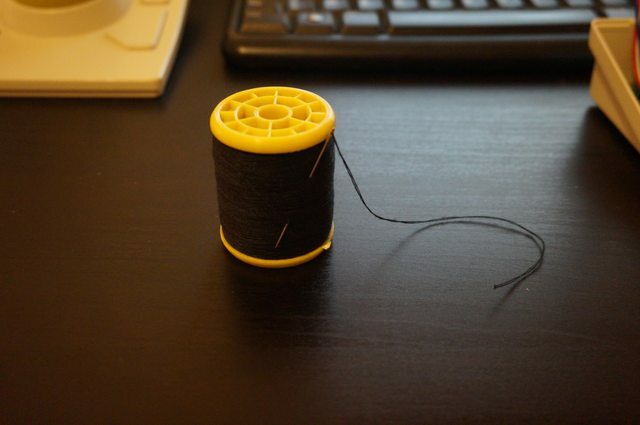 I'll try to create the thread tomorrow, it goes beyond standard devices. I guess it's "counts per rotation"…? Anyway, I found the USB DT225 fine with a 2400×1600 desktop, but only if software acceleration was enabled and setup quite aggressively . CPR stands for Cycle Per Revolution. 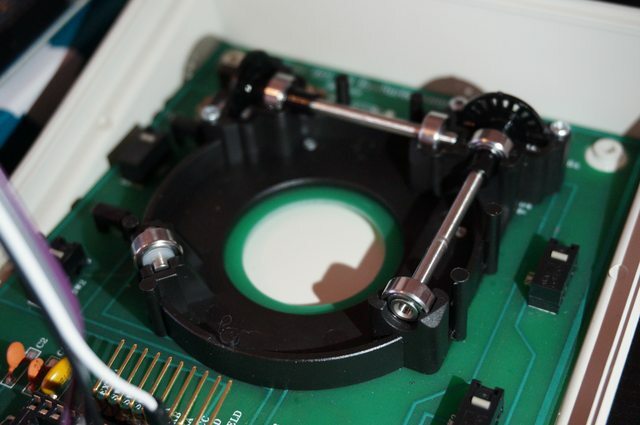 This is a term used for optical rotary encoders. It means that, for a full revolution of the encoding wheel, the signal generates 400 increment or decrement events. The ball to shaft ratio might be around 10, so a full revolution of the ball represent 4000 pixels. This is a rough guesstimation though. So you where the one bying it. This is a great price . I love mine. I have the original manual at home. Drop me a Pm if you wand a scanned version of it, especially for the dip switches setup. 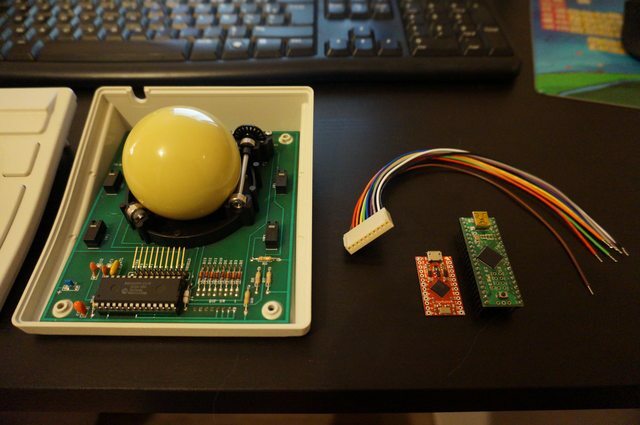 Awesome post for trackball with the strange port! I hope to use the on board trackball like a mouse on my KeyTronic TRAK101 keyboard. Computer determine it for the arrows keys(↑↓←→) not like a mouse. It uses RS-232 port. I don't know exactly. I've been searching informations on your keyboard but can't find much. Are you using an adapter ? Yes,I'm using the RS-232 to USB converter but not work like a mouse. Do I need do some settings on Win7? I can post the PCB of trackball and keyboard if you need it.